The 2015 college football season concluded just a month ago, but that’s not stopping analysts from already attempting to build up teams for 2016. And one of the teams already receiving an insane amount of hype is none other than the Tennessee Volunteers. ESPN has a rating system they call the Football Power Index that they claim is the better indicator of a team’s talent level than win/loss record or poll rankings. The Vols were ranked highly in the 2015 FPI, but ESPN recently released their early 2016 FPI rankings after National Signing Day. And the Vols are even higher. In fact, the Vols are in Playoff territory in the FPI. ESPN’s early FPI has the Vols ranked No. 5 in the poll, right behind three previous Playoff teams and fellow SEC member LSU. 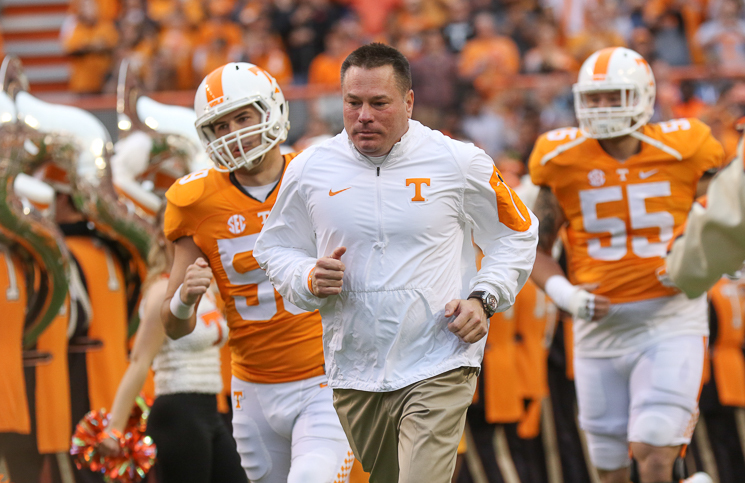 The Vols finished 2015 with a 9-4 record after trouncing Northwestern 45-6 in the Outback Bowl and finished the season ranked in the AP Top 25 Poll for the first time since 2007. Tennessee ended the 2015 season on a 6-game winning streak that they’ll carry over into 2016, and the Vols will have the most returning starters in the SEC East this upcoming season. The hype train for Tennessee is already a bit out of control. But if the national media starts to play up the Vols to the degree they already are, then Vol fans will be hearing about Tennessee’s chances to make the College Football Playoff all offseason. Unfortunately, the season is still well over six months away from starting, however. Until then, enjoy the hype, Vol fans.